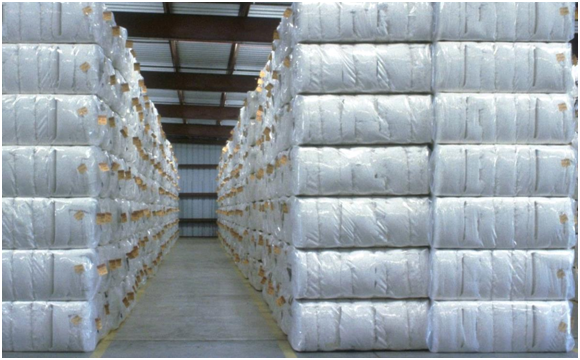 The production of compact yarn involves a suction technology by which inter twined cotton fibres are aligned and winded onto the yarn strand in such a way so as to give the yarn better smoothness and uniformity. 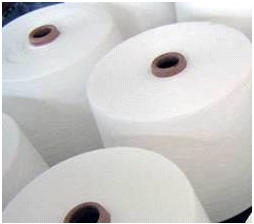 The resulting product has higher luster, more strength, less hairiness and better evenness resulting in less pilling than conventional ring spun yarns. We are the pioneers of producing top quality compact yarn in Pakistan which has earned us a long list of satisfied customers nationwide and abroad. Our medium count range which includes Ne 10 to Ne 24 carded compact yarns and fine count range from Ne 40 to Ne 120 combed yarns and produced with the highest quality standards keeping in view the buyer’s requirements and customer’s satisfaction as our top priority. High Quality Cotton Combed Compact and Cotton Carded Non Compact Yarnis Produced from CF/USA/Brazil Cotton/Indian Cotton/ Pakistani Cottonetc. For Contamination free Yarn, we installed Contamination Sorters, also by Using Ladies workers for Contamination Sorting and we installed most up dated yarn clearer in Auto Cone to produced High Quality Contamination Free Yarn to Achieve the Customer Satisfaction and Trust. At a time, we have a cotton stock for the usage of 6 Months to1 Years. We did so to maintain consistent quality in our products to achieve our quality goals.